Last month I was contacted by SodasStream; as soon as I saw their email pop up in my inbox I instantly was taken back to the memories of those fizzy, sugary drinks me and my brother used to have when we nipped round to the neighbours house as kids. 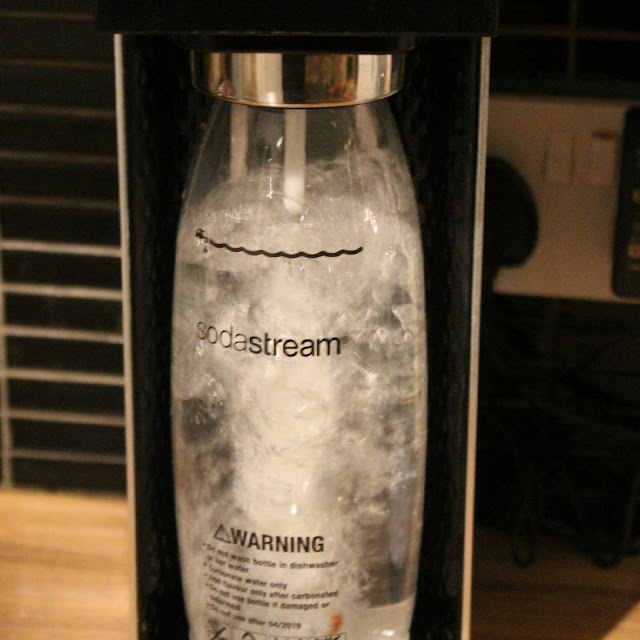 We always loved it as a treat but my mum was always adamant that we weren't going to get a SodaStream- she assumed they were unhealthy and not something for everyday use.But this post will prove her wrong for sure! 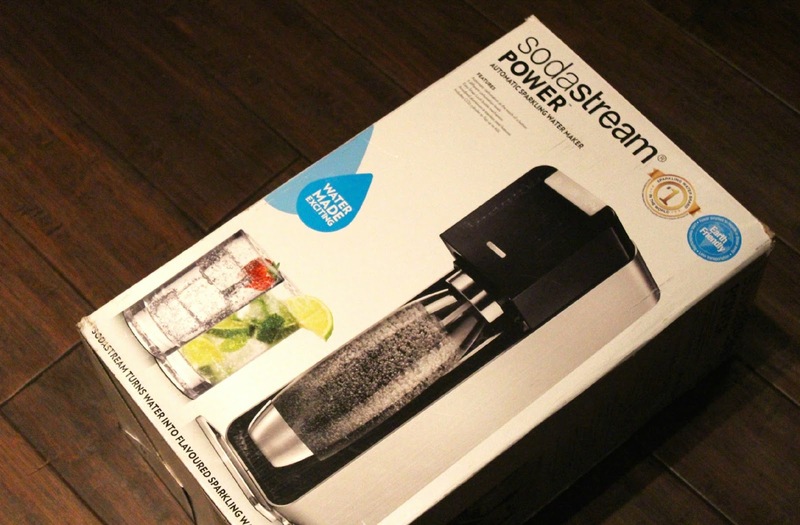 SodaStream asked me to take part in a 2 week healthy challenge to just drink sparkling water! 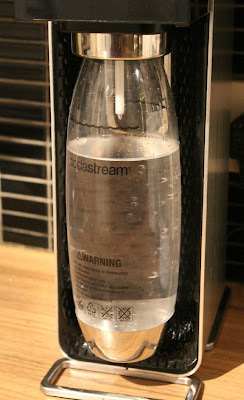 They sent me over a Power Black SodaStream maker which included a bottle of the all essential gas to add the fizzy to tap water. The set up of the kit was pretty simple and there are also tons of handy youtube video to show you it step by step.The initial cost of the SodaStream Black is £149 from the official website; some might think this is a little pricey but think of the long term savings on all those cans and bottles of fizzy drink you buy over a year it quickly becomes a worthwhile investment! 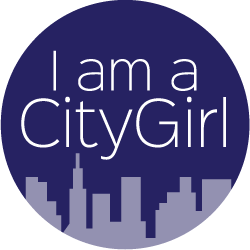 Cutting out fizzy drinks full of sugary flavour was going to be hard for me, I crave a good can of coke now and again so I knew from day one that I'd want to think about adding some sweetness to my fizzy water. 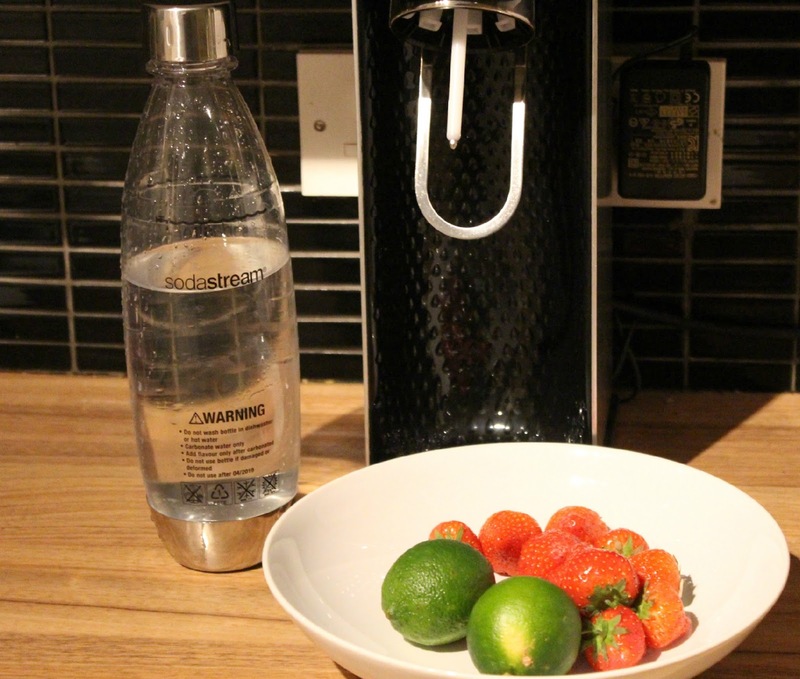 Taking note from many Instagram posts I'd seen of infusion waters I thought I'd pop in some juicy fruit to add a bit of natural sweetness to the fizzy water. But before the fruit.. we must add the bubbles! 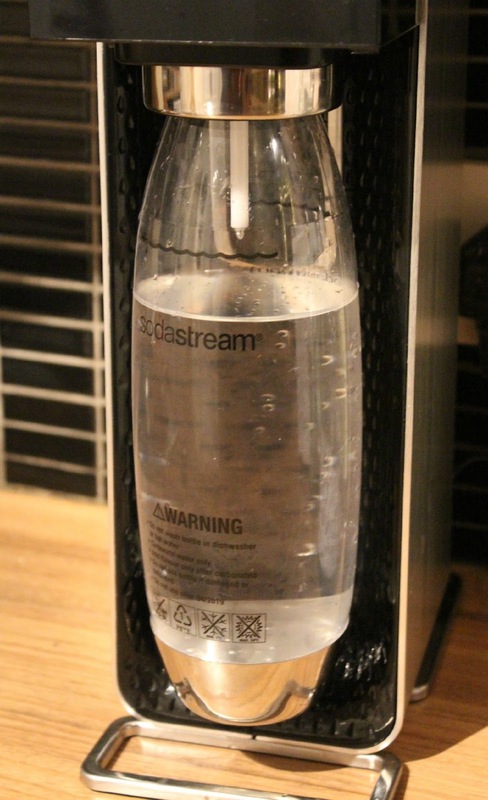 All you need to do to make your sparking water is fill the SodaStream bottle up with tap water to the line (or just below like I have in this photo!) and then pop it into the fizzing machine. The long pointy thing shown above goes into the bottle just above the waterline and you can then select the level of fizz you fancy from lightly sparkling to VERY sparkling! Once my water is ready I then either add the fruit infusion to the bottle and pop it in the fridge to sit for a while or pour the water into a glass and add some fruit! 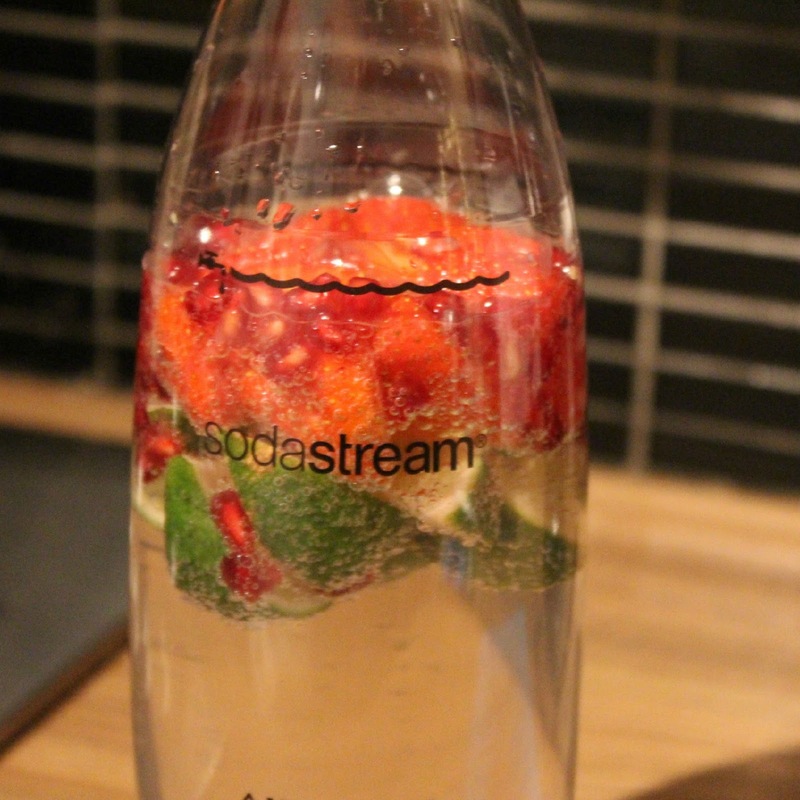 Strawberry, Lime and Pomegranate infused SodaStream water- this one is best left in the bottle to infuse for a while, the pomegranate seeds and strawberry soften up and the lime infuses its kick of citrus to the water. Simply delicious! Me and the Mr have been drinking this one a lot and adore its depth of fruity flavour accompanied by the fizz. 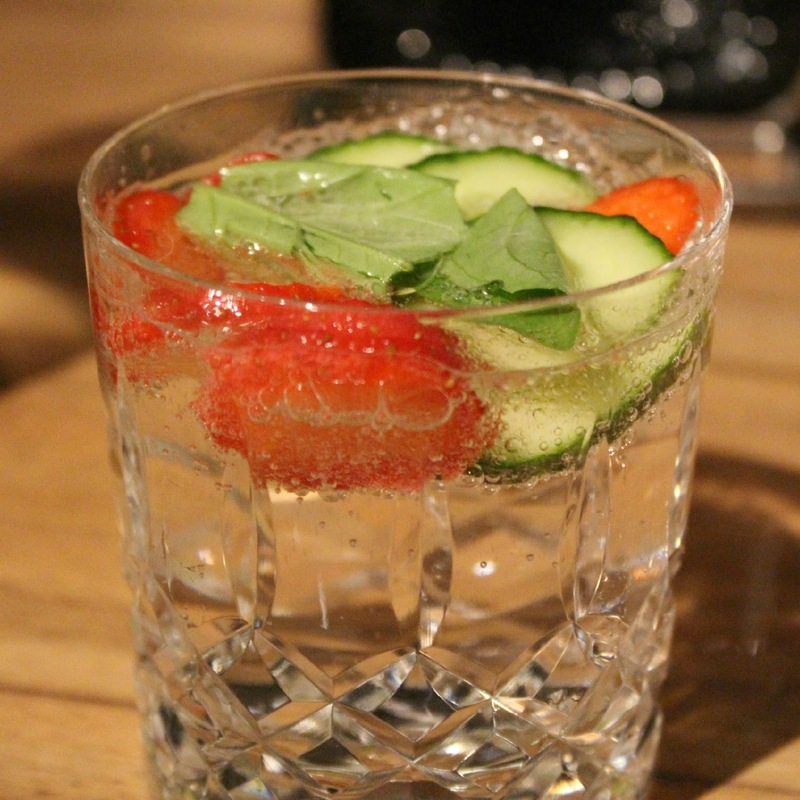 Strawberry, Cucumber and Basil infused water- this is one that I drink straight away as I love a good crunch to the cucumber! All you do is slice the cucumber and strawberry up and pop in 2 basil leaves. OHH I want to drink this one all the time, its beaut... and I bet this would taste amazing with a drop of gin! In terms of the challenge, I'll admit, I did sneak in a few cups of tea and a few G&T's here and there but all in all I'm loving drinking a lot more water in the evenings especially. I tend to stick to Voss water/filtered water in my office during the day then in the evening I have some fizzy fruit infused water straight from the fridge at home. 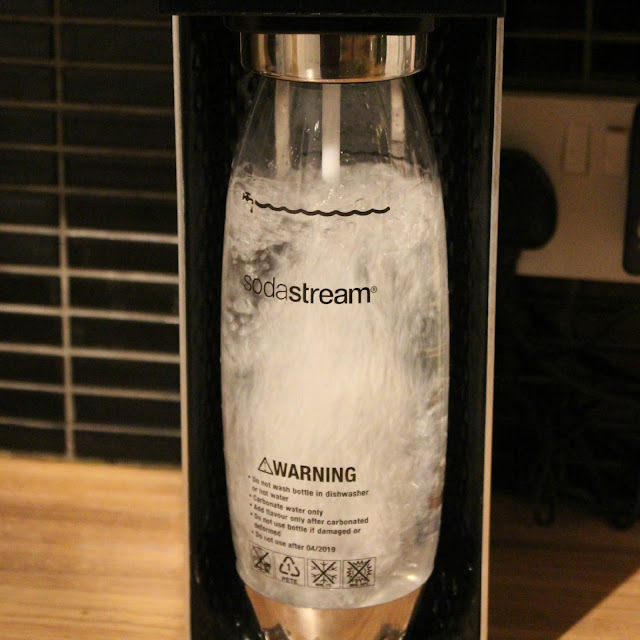 I like that my drinks now feel a lot healthier than they used to and by using Sodastream at home its meant we have been cutting down on the amount of bottles we are throwing away too. If you fancied going for some SodaStream flavours they also have a whole range of syrups on their website starting at £3. I like the sound of Classic Tonic (to drink with my gin of course!) Red Apple,Classic Cream Soda and Zero's Cranberry and Raspberry. 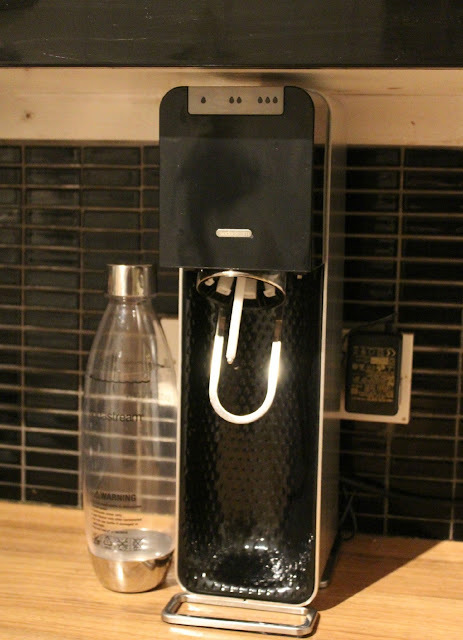 Have you used a SodaStream before? 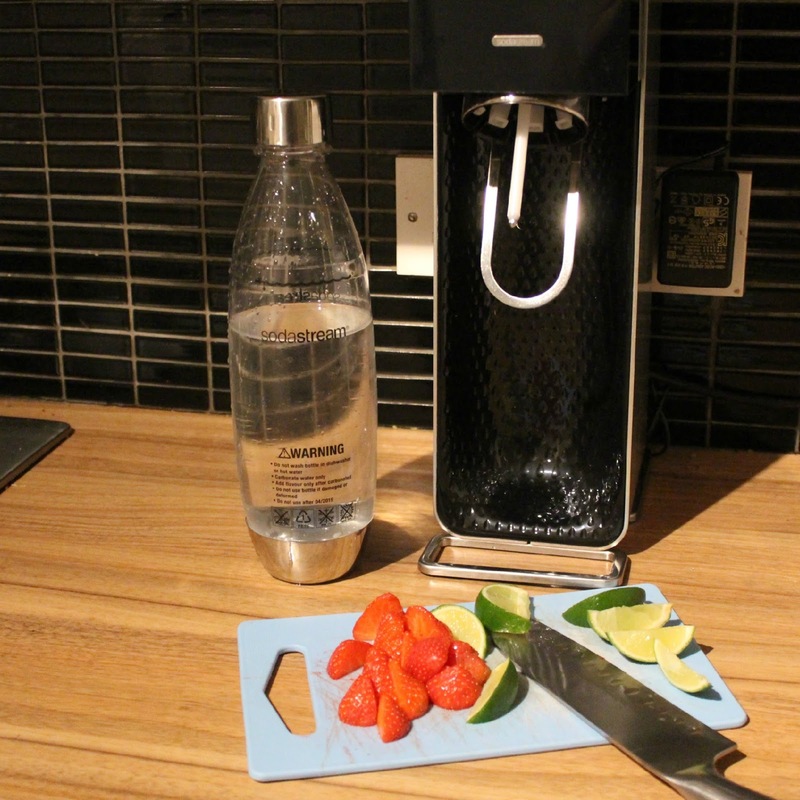 Do you think you could complete a 2 week challenge of just fizzy water? *SodaStream kindly gifted me this item but my opinions are 100% honest! Oh I always wanted one of these as a kid! I never thought of them as a healthy option before but it does make sense now I think about it, I really should try and cut out my Pepsi max addiction but water just doesn't cut it, I love the fizz! Just added one to my Amazon wish list as it would be great for G & T!! !